September 20, 2006- Curcumin has been found to block activity of a hormone implicated in the development of colorectal cancer – results which contribute to a growing body of evidence pointing to the spice’s cancer-fighting potential. Researchers at the University of Texas Medical Branch at Galveston (UTMB) worked with curcumin, the yellow pigment found in the curry spice turmeric, and cell cultures to link a gastrointestinal hormone to the production of an inflammatory protein that accelerates the growth of a variety of cancer cells. The study, entitled “Curcumin inhibits neurotensin-mediated interleukin-8 production and migration of HCT116 human colon cancer cells”, is published in this month’s issue of Clinical Cancer Research. The anti-cancer effects of spices from curcumin to red chili pepper capsaicin have been consistently researched, but this new study hopes to open the possibility of gastrointentestinal cancer prevention and therapy involving the blocking of hormones. Colorectal cancer accounts for nine per cent of new cancer cases every year worldwide. The highest incidence rates are in the developed world; Asia and Africa have the lowest rates, which calls into question diet-related factors. The UTMB researchers found the gastrointestinal hormone neurotensin, which is generated in response to fat consumption, reduced production of IL-8, a potent inflammatory protein that accelerates the growth and spread of a variety of human cancer cells, including colorectal and pancreatic tumor cells. According to the scientists involved, neurotensin’s influence depends on biochemical signaling pathways inside the cell. 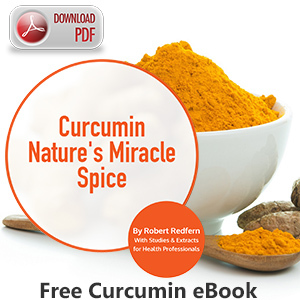 They claim their experiments showed curcumin diminished those signals and thereby decreased the production of IL-8. Experiments also showed neurotensin increased the migration of colorectal cancer cells, and that curcumin could suppress this migration — possibly reducing the ability of colorectal cancer to spread to other locations in the body. Xiaofu Wang et al. “Curcumin inhibits neurotensin-mediated interleukin-8 production and migration of HCT116 human colon cancer cells.” Clinical Cancer Research. Sep 15, 2006; 12 (18).